Columbia Bank excels at competitive mortgage rates and all-in-one business banking, but falls short on customer service. Find out here if Columbia Bank is the right bank for you. For residents of Maryland, The Columbia Bank can be a decent option. It offers competitive mortgage rates, no fee checking, and strong offerings for small businesses. Unfortunately, reviews show that customer service is lacking and the banking products are fairly average. All branches are located in Maryland, but customers can access ATMs operated by other banks run by its parent company, Fulton Financial Corporation. A full-service mortgage company ensures the best rates. Columbia Bank's ‘rate watcher‘ service, makes it easy to get the best mortgage terms available. You can enter your specific loan requirements and get notified when it's available, or have Columbia Bank email you up-to-date mortgage rates regularly. Your house is probably the biggest purchase you'll ever make and it's important to get the best loan rate. For example, a 30-year $300,000 loan at 3.5% compared to the same loan at 3.6% will end up saving you $6,049. In other words, Columbia Bank's ‘rate watcher‘ has the potential to save you hours of time and thousands of dollars. Free financial education. The Education Center can be accessed from any device, with resources that cover everything from money management at different stages of life to online calculators that demystify loan terms. With advisors and other individuals charging upwards of $100 per month for "financial coaching," Columbia Bank's education center is a great free resource that can save you over $1,000 per year on advice, courses, and coaching. A checking option that is simple and free. Columbia Bank sets itself apart with the Simply Checking account. There is no minimum amount required and no maintenance fees. It's simple, free checking at its finest. Lack of locations means more fees. 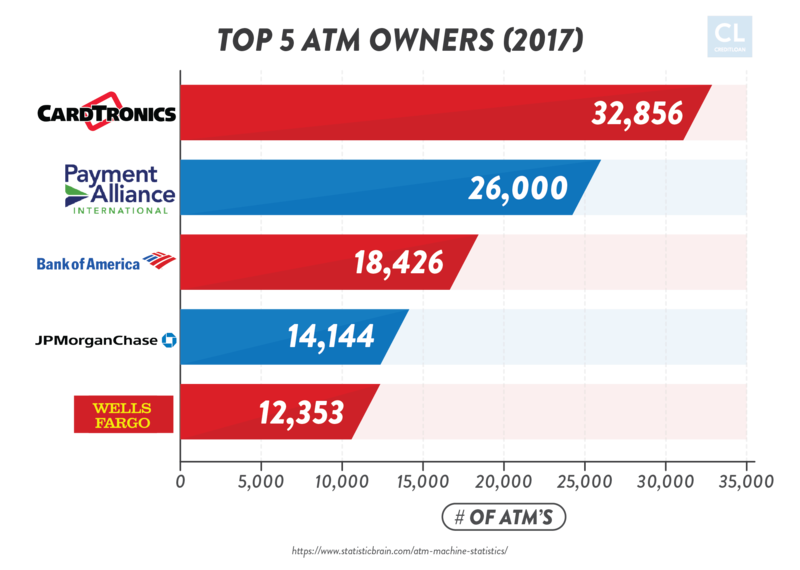 With less than 300 ATM locations spread across Pennsylvania, New Jersey, Maryland, Delaware, and Virginia, you'll likely need out-of-network ATMs, which cost $2.50 per transaction. If you use an out-of-network ATM three times per month, you'll end up paying $90 in Columbia Bank fees over the course of one year, and that doesn't even include the fees charged by the ATM provider. It might not seem like a lot, but over 10 years, you'll pay nearly $1,000 in extra fees, and for customers who travel a lot or don't live in the area, the fees will probably be much higher. Customer service is lacking. Local banks are usually known for being friendly and serving the community. Unfortunately, that isn't the case with Columbia Bank. From reports of rude bank tellers to dismissive call center representatives, customer service at Columbia Bank could be better. I have been with [Columbia Bank] for many years only to watch the bank continue to cut staff and pile the work on those remaining. They can't even get their own paperwork straight and of course they blame you for it. Good luck getting a call back from anyone…" -customer, Billy J. Credit card options aren't the best. Even though Columbia Bank offers six personal credit cards, the terms and fees aren't as competitive as other banks. For example, the Secured Visa Card has an annual fee of $35 and 22.24% APR. Compared to many other secured credit cards that allow customers to build credit without annual fees, Columbia Bank's card is not worth your time. Even beyond that, it will cost you $175 in fees over the course of five years. Local banking is part of Columbia Bank's heritage. 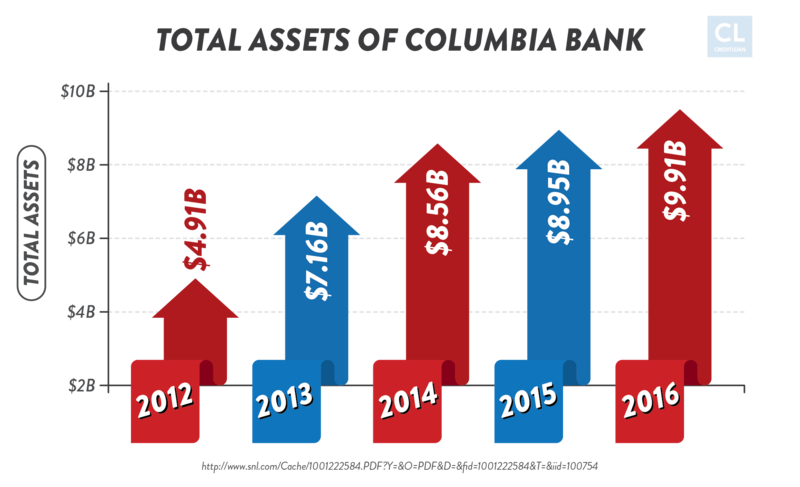 Formed when two local Maryland banks merged into one, Columbia Bank has been in the local community for a combined total of nearly 200 years. Depending on what you're looking for in a bank, Columbia Bank may or may not be the best bank for you. Answer these questions to determine if Columbia Bank has what you need. Do you need all-in-one business banking? From retirement plan services to international business banking, Columbia Bank offers business owners everything under one roof. The business offerings are robust and can compete with some of the biggest banks in America. Would you prefer a personal relationship with a specific representative? We ask because a relationship manager is assigned to every business account. The managers provide one-on-one support and will even guide you through loan applications, government contract financing and ensure that your merchant payment system is working properly. No matter the question or concern, Columbia Bank is ready to help with your business banking needs. Are you looking for a bank that can travel with you? With a highly rated app, Columbia Bank offers banking on-the-go, but there are limitations. Columbia Bank customers have access to free ATM withdrawals at nearly 300 ATMs across five northeast states. But for customers who travel regularly or don't live in one of the five states serviced by a Fulton Financial bank (Pennsylvania, New Jersey, Maryland, Delaware, and Virginia), Columbia Bank is not the best option. As one of the biggest banks in the Maryland area, Capital One is Columbia Bank's biggest competitor. Both banks serve locally in Maryland and a handful of other states, but Capital One also excels online. Capital One is stronger online. Both Columbia Bank and Capital One serve locally in Maryland and offer personal and business banking. With no fees or minimums and 1% interest on the Capital One 360 online savings account, Capital One's online offerings appeal to customers across the country. Columbia Bank offers mortgages. When it comes to mortgages, Columbia is the clear winner. Columbia Bank offers competitive mortgage loans and its full-service mortgage company is one of its strongest offerings. As of 2017, Capital One no longer offers mortgage loans. Capital One offers some of the best credit cards. From cash back credit cards that offers 1.5% back on every purchase, to flexible travel rewards credit cards, Capital One Bank has superior credit offerings. But there's one area where Columbia Bank and Capital Bank are tied: annual fees. Both banks offer quite a few credit cards that don't have annual fees. LendingTree for a faster mortgage. With mortgages that close in as fast as 30 days, LendingTree is a great option for securing a mortgage fast and easily. The best part? You can do it all online. OneMain loans to support Maryland businesses. Originally founded in Baltimore, Maryland in 1912, OneMain was one of the first companies to expand their personal loan offerings, and today, that's what they do best. OneMain offers secured and unsecured personal loans of up to $25,000. Get better access with US Bank. With brick-and-mortar locations in 40 states, US Bank is an excellent option if you're looking for easy access across the country. "Is Columbia Bank a bank or a credit union?" The difference between the two.The main difference between banks and credit unions is that banks are for-profit. In other words, a bank's primary goal is to maximize profit. Credit unions share their profits with their customers by providing perks like lower interest rates. 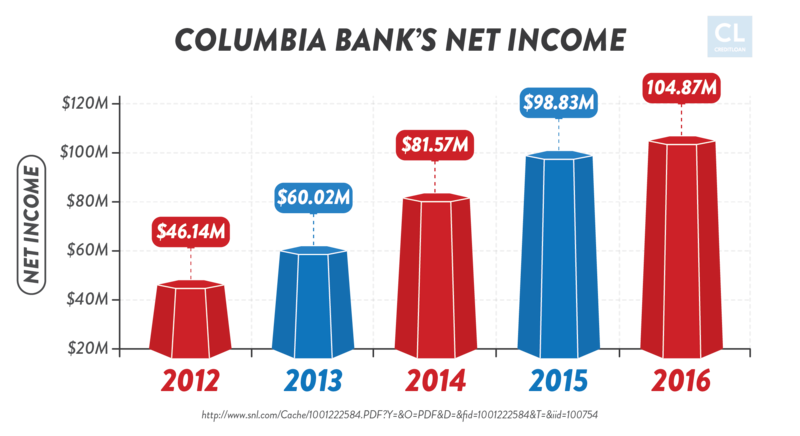 Columbia provides local banking. Columbia Bank is a bank. But because it calls itself a local bank, many customers are confused about what that means. For Columbia Bank, it simply means that the bank is focused on providing services to a few select states—Pennsylvania, New Jersey, Maryland, Delaware, and Virginia. Giving back to the community. Even though Columbia Bank is a for-profit institution, it does still give back to the community. Through Fulton Forward, Columbia Bank helps provide services for housing assistance, financial education, and economic development in the local community. The product most worth your time? Simply Checking. With no minimum daily balance requirements and no maintenance fees, the Simply Checking account is a free checking account with no strings attached. Savings account options are limited. Offering only two types of personal savings accounts—student statement savings and statement savings—the options at Columbia are limited. The interest rates are below average compared to online savings accounts and in order to avoid a $6 monthly fee, you need to have a minimum account balance of $100. Loan benefits and rates vary by type. With a full-service mortgage company and the free rate watcher, Columbia Bank is a great place to shop for a mortgage. It also offers excellent terms on unsecured personal loans, but there's a catch. You must have excellent credit with a minimum score of 695. But if you do have great credit, the terms are good. Compared to an average interest rate of 16%, Columbia Bank's interest rate of 10.49% would save you $848 on a $5,000 loan with a five-year term. Applicants are required to apply in-person and they must open a checking account with Columbia Bank. Columbia Bank also offers auto loans, but with APRs that range from 3.99–9.99%, you can probably find a better deal somewhere else. Credit card offerings are average. Columbia Bank offers six different credit cards, including two American Express cards. The interest rates on the credit cards are variable and range from 13.24–24.24%. A few of the cards boast no annual fees, but the rewards aren't great. For example, the Visa Bonus Rewards card offers one point for every $1 spent plus 25% bonus points. So you'll earn 1.25 points for every $1 spent as you earn cash back. It sounds like a good deal, but 100 points equal $1 cash back. In other words, you'll need to spend $80 to earn $1 cash back. Business banking is excellent. If there's an area in which Columbia Bank excels, it's business banking. With offerings that range from real estate banking to agricultural banking, there is truly something for every type of business owner. Regardless of what you need—payment systems, business credit cards, small business banking, or retirement solutions for your team—Columbia Bank has it. Columbia Bank offers four business credit cards with variable interest rates between 13.24–24.24%, no annual fees, and cash back rewards. The Visa Business Card even offers a 12-month introductory rate of 0% interest with no annual fee. 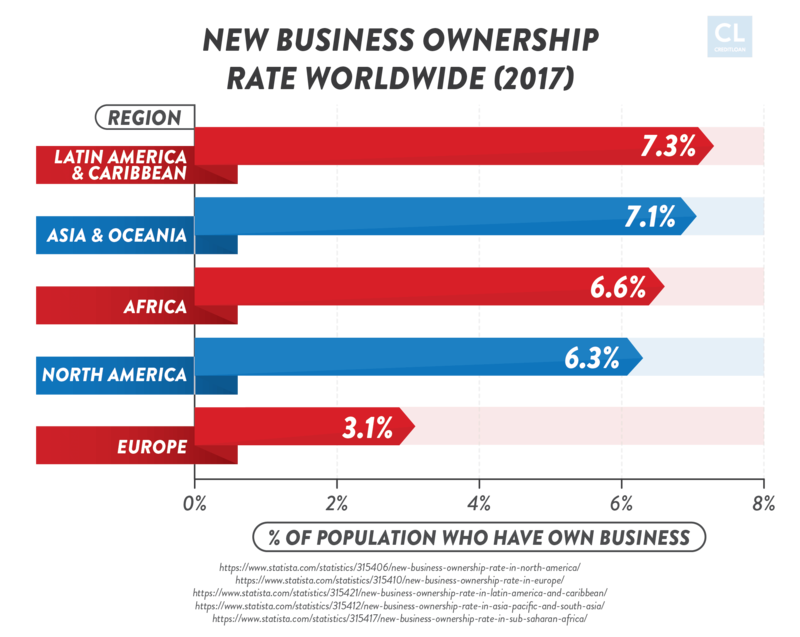 For business owners just starting out, it's a game changer. Columbia Bank also offers Small Business Association loans, but in order to get a quote or more information, you contact a Columbia representative directly. Commercial Banking combines services and support. Wells Fargo commercial banking offers a comprehensive look at your business. Customers love the digital tools that provide a company-wide snapshot and the local Wells Fargo advisor. Wealth management is outsourced. Columbia Bank offers wealth management services that include financial planning, investment counseling, investment management, and wealth advisory services. Even though the services are offered from Columbia Bank, the actual services are provided by Clermont Wealth Strategies, which is headquartered in Pennsylvania. Service fees and accounts minimums vary by account type. With a variety of accessible and easy-to-understand finance resources that are broken down by stage of life, Columbia Bank's education center is a place where you can learn what you weren't taught in school. Different lessons for different stages. The resource categories include young professional, getting married, retirement, and more. There are also easy-to-use financial calculators that will help you understand interest rates and minimum payments for your car loan, mortgage, or student loans. A glossary of terms that make sense. If you've ever felt like financial terms make zero sense, then the Education Center's glossary is for you. With simple definitions for terms like "overdraft protection" and "identity fraud," you'll feel confident talking about your money. Giving back through financial education. Fulton Forward is an initiative created by Columbia Bank's parent company, Fulton Financial. Committed to making "our communities better," Fulton Forward has pledged to increase financial literacy, and the Education Center is one way the initiative is making good on that promise. You can apply for a checking account, savings account, or loan online through an application, in-person by visiting a local branch, or over the phone by calling 1-888-822-2265. Filling out the online application will take less than five minutes and is the quickest way to get started. To make the application process as simple (and fast) as possible, be sure to have your social security number and driver's license with you. If you're applying for a business account or loan, you'll also need employment information, like pay-stubs, or collateral. The quickest way to close your account is by visiting a local branch, in-person. If you're not able to do that, you can call to cancel, but be sure to call the location at which the account was opened. Is Columbia Bank available in all states in the US? No, Columbia Bank is only available in Maryland. Is it a traditional bank or a credit union bank? Columbia Bank is a traditional bank. In other words, it is a for-profit corporation. Do I need a checking account in order to apply for a loan or a credit card with Columbia Bank? No, you do not need a checking account in order to apply for a loan or credit card. However, you do need to mail in your credit card application or visit in-person. Columbia Bank is located in one state: Maryland. There aren't any other state services to consider. Does Columbia Bank use credit scores when determining to give you a loan or a credit card? Yes, Columbia Bank checks credit scores to determine loan eligibility, amount, and terms. Does Columbia Bank report to any of the credit bureaus? Yes, Columbia Bank reports to the credit bureaus. What are the bank's financial strengths? Columbia Bank is known for being community focused. For Columbia Bank, this means that they give back to the community through the Fulton Forward foundation. Columbia Bank also prides itself on being the best bank for business and retail customers. Yes, there are 32 physical locations in Maryland. The routing and transit number for Columbia Bank is: 055002338. In order to earn interest on your Interest Checking account, you must have a minimum daily balance of $1,000. What is the overdraft protection offered by the checking accounts? Overdraft protection at Columbia Bank allows you to link your checking account to another account with Columbia Bank. The funds will be automatically transferred if the account is overdrawn and there is a $12 fee. How are the reviews for the credit cards offered by Columbia Bank? All of Columbia Bank's credit cards come equipped with EMV smart chip technology for security and mobile purchasing capability. With six credit cards to choose from, there's a card for every type of customer. Yes, 4 out of the 6 credit cards offered by Columbia Bank offer a rewards program. You can redeem your credit card reward points by going to the Rewards Center and clicking "Check Your Rewards" to begin the process of redemption, or you can call: 888-229-8864. Does Columbia Bank offer FICO credit scores each month? No, Columbia Bank does not offer FICO credit scores. Can I withdraw money from any ATM using my Columbia Bank card? Yes, you can withdraw money from any ATM, but if it's not a Fulton Financial Corporation ATM (the parent company of Columbia Bank), you will be charged a fee. Are the rates offered by Columbia Bank competitive compared to other banks? Columbia Bank offers competitive rates for auto loans, mortgages, personal loans, student loans, and more. Columbia Bank offers both secured and unsecured loans. What are some of the perks offered by Columbia Bank that I will not find in other banks? Columbia Bank offers local, all-in-one banking for Maryland residents—personal banking, mortgage lending, business banking and wealth management. How user-friendly are the online services offered by Columbia Bank? With a robust search database that allows you to search for the answer to any question and online account access, Columbia Bank's online services are very easy to use. No, there are not any exclusive offers for veterans or military members. Can I join Columbia Bank if I am not a resident of Maryland? Yes, you do not have to live in Maryland to bank with Columbia Bank. All of your mobile deposits will be available by the next business day. Does CB have a mobile app and can I manage all of my accounts via the mobile banking? Yes, Columbia Bank has an app called ‘The Columbia Bank', which offers full-service banking on the go. Absolutely. Stop by your local branch or call: 888-822-2265. How safe is banking with Columbia Bank? Columbia Bank is secure and FDIC insured. In the event of identity theft, immediately contact 888-822-2265 if you have a debit card with Columbia Bank or 866-794-2137 if you have a credit card with Columbia Bank. The best bank is one that fits your personal needs for a competitive cost. Local banks like Columbia Bank often have unique connections to their communities that can make some customers overlook the lack of bells and whistles that larger national banks offer. Unfortunately, Columbia Bank struggles in the areas that its local customers deserve excellence, namely customer service. Add that it can't match the value offered by larger banks–except in the area of competitive mortgages–and you may reconsider the bank for your business. Do you bank with Columbia Bank? Does it matter if you're not in Maryland and still bank with Columbia? We'd love to know what you think about this local bank. Please let us know about your experiences (good or bad) in the comments below.